Fresh off the back of Sunday night’s glitzy Oscar ceremony, Westminster Venue Collection (WVC) has revealed its members witnessed a 30% increase in film location enquiries in 2016. The recently rebranded collection, which features 34 members all based in London’s iconic City of Westminster, announced film locations bookings now amount up to 10% of their yearly event revenue. With fashionable townhouses and private members’ clubs to luxury hotels, celebrated attractions, historic institutes and societies, it’s no wonder an impressive 86% of the eclectic mix of venues have been used as the locations for both the big and small screens. Keen cinema-goers will know member venue One Great George Street has played a starring role in a range of productions including last year’s Hollywood blockbuster ‘War Machine’ featuring Brad Pitt as well as Woman in Gold (2015). The venue’s Great Hall became the Guildhall for Mark Darcy’s law society dinner in Bridget Jones’ Edge of Reason (2004) and doubled as the National Gallery where Mr Bean is a guard in Bean (1997). The QEII Centre’s impressive and highly versatile space – the Churchill – which regularly offers a backdrop for a variety of large events ranging from conferences, award ceremonies, corporate dinners, parties and presentations provided an Oscar-winning performance in ‘The Theory of Everything’ (2014). Other productions have seen member venues providing key locations in Calendar Girls (2003), Spectre (2015), Sherlock Holmes (TV series) and the nation’s favourite wizarding series, Harry Potter. If you would like to find out more about booking one of WVC’s venues for an upcoming film, television or documentary piece please visit the venue collection page and place your enquiry. Why choose Westminster for your next meeting or conference? The venue you choose can have a big impact on the success of your event. From conferences to training, the location and facilities set the tone for the day and can influence the productivity of your get-together. Choosing the perfect location can be tricky. To give you a helping hand, we’ve put together a list of reasons why Westminster makes the ultimate destination for your events, both large and small. The City of Westminster is world famous as a site of historic and political importance. Surrounded by stunning architecture, including the Houses of Parliament and Westminster Cathedral, Westminster is the heart of London. With so much cultural and historical significance, Westminster cannot fail to add a sense of prestige to your conference or meeting. When it comes to training events, choosing Westminster as your location can highlight the importance of the day and demonstrate the company’s values and aspirations. Being central in any city has many great advantages, even more so in London. For a start, Westminster is incredibly easy to get to, with links via road, tube, bus, or on foot. An easy-to-reach venue is a big bonus for conference guests, many of whom may have had to travel large distances to attend. Unexpected difficulties could make it hard for staff, delegates, or meeting invitees to reach a venue located far from transport links, wasting you valuable time and money. With a venue in Westminster, access won’t be an issue. Being in London has many benefits. Westminster is a cultural hub in which art, shopping, dining, performance and entertainment collide. You’ll find a range of different experiences through the area and with easy connections to other parts of London, all tastes are catered for. From fine dining to theatre, shopping to music, Westminster itself provides plenty of opportunities to keep delegates amused. This flexibility allows you to combine other activities with your event. Conference delegates will enjoy the local area and the entertainment, sights and tastes on offer add another great benefit to your promising conference package. Staff can end training days with a meal out, helping to build team spirit and once formal meetings are over, a more casual sightseeing trip can be an effective way to close a deal. Once you have settled on Westminster, you’ll need to choose your venue. Believe it or not, this is the easy part. 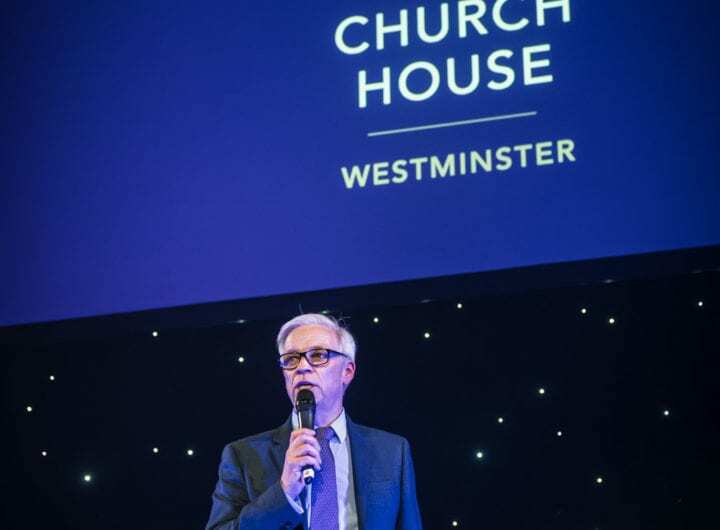 With The Westminster Collection, you can find out information on some of the area’s leading venues, all from our website. You can even send your request for a quote to multiple venues at once, taking the hassle out of finding the perfect place for your conference, meetings, or training days. Posted in Blog, PlanningTagged conference venues westminster, meeting venues westminsterLeave a Comment on Why choose Westminster for your next meeting or conference? 116 Pall Mall will open its doors to brides and grooms to be as it showcases its pristine wedding services in a special event taking place this coming Sunday 3rd November 2013. Meet more than 40 of the most respected wedding suppliers in London, participate in interactive wedding workshops and have fun watching a couture bridal fashion show while you taste wine and enjoy complimentary food. Explore the facilities of this stunning central London venue before taking advantage of a personal consultation with a member of 116 Pall Mall’s wedding and events team. All guests can participate in prize draws and a competition to win 50% off the hire cost of 116 Pall Mall for a wedding, as well as taking advantage of special offers exclusively available on the day. With guaranteed exclusive use at weekends, 116 Pall Mall provides a unique and memorable setting for civil ceremonies and receptions. 116 Pall Mall features eight magnificent and individually designed function rooms with capacity for up to 400 people. Its grand and ornate staircase and adjoining gardens are the perfect backdrop for photos in the heart of St James. The stunning architecture and beautifully decorated rooms all receive natural daylight and are fully air conditioned. It’s a misconception that cost limits creativity, says Robin Parker, marketing director for The Westminster Collection (TWC). Venues face this challenge daily but it’s incredible the impact you can make when you deconstruct each stage of the planning process and apply a little imagination. Not every event organiser has the luxury of large event budgets at their disposal. Fortunately they needn’t panic that they have to work miracles alone. Just because funds aren’t excessive doesn’t mean events have to present any less of a wow-factor. Venues are used to their clients’ tightened purse strings. In the same way that event organisers feverishly brainstorm for the hook that will snag delegates (who are dubious about whether it will be time well spent), so too do venue event teams and their suppliers. We’ve become extremely resourceful at conjuring up alternative ways of working to deliver maximum value. The real definition of being creative is being resourceful, practical and (dare I say it) original. At Church House, generally we can be more flexible with our hire prices on Mondays and Fridays. Buying into a package with a fixed day delegate rate (DDR) is not always the most cost-effective option. Sometimes it is worth looking at the breakdown of costs and questioning if you really need everything that is included. Plan ahead and think about what comes next. Expressing interest in booking a series of events in one go creates great bargaining power, as does trying to negotiate with people face-to-face whenever you can. It’s a lot easier to be shot down with a ‘no’ over the phone. If entertainment is on your agenda, be smart about how you source your act. Is it really essential to blow so much of your budget on a big-name, high-cost performance? How about unearthing an act that’s less well known? Showcase new talent, introduce something new. The Westminster Collection will be discussing the challenge of cost versus creativity and bringing practical solutions and advice within a dedicated ‘Unleash Your Creativity’ workshop at Destination Westminster 2013, our annual London venue showcase event, featuring all 50 members of TWC. The event will take place from 8.30 – 11.30am on Friday 13th September, at 8 Northumberland Avenue. “Creativity in the event industry is about bringing a brand or someone’s vision to life. Increasingly we are being asked by our clients how they can make their events more impactful, punchy and memorable. “Providing an ‘umbrella’ concept, under which all activities fall, helps the event become more focused and effective. Taking 1920s style influences from The Great Gatsby and Bugsy Malone, we recently created a themed conference for our client Pret. Delegates were invited to dress the part with feather boas, spats and headbands galore and they were welcomed into our townhouse with Prosecco served in saucers. After lunch, a flapper girl troupe performed the Charleston and blackjack and roulette tables encouraged team play and socialising. “Any fool can be creative with a pile of money. It doesn’t matter if it’s £500,000 worth of lights and software or an interesting toilet roll holder, show the client, your staff or your boss that you have engaged your mind positively and have created and tested an imaginative solution that will in turn engage the client and guests. “It is paramount for us to create an environment that our guests want to spend their time in, whether for corporate meetings and press briefings or dinners and drinks receptions. The finer details really are essential. “I use a lot of references from Pinterest, where I find ideas for DIY event dressing and creative ways to set up the rooms. The 41 Portland Place summer showcase was no different. The theme was Street.Food.Party which took influence from the fashionable street food culture of East London. Our venue isn’t in the east, nor does it resemble anything like a warehouse that could be found in the east end. It was therefore my job to bring Shoreditch to Marylebone. “Creativity is a big focus at etc.venues as we try to have both creative and functional space in the venue. We have lots of contemporary art work and bright colours throughout the venue to provide discussion and stimulate the attendees. We also have a few pieces of art work from one of our members of staff that he created him self from recycled coffee stirrers. Feed your imagination with ideas for how and where to hold your next event within London’s most illustrious business and lifestyle destination, Westminster, at our special 10th anniversary venue showcase, taking place at London’s most central venue, 8 Northumberland Avenue. This is a FREE breakfast networking and educational event for anyone* in the business of booking corporate and private events, meetings and conferences. Click here to REGISTER NOW.